Channing Tatum to Direct Gambit If It Ever Actually Happens? 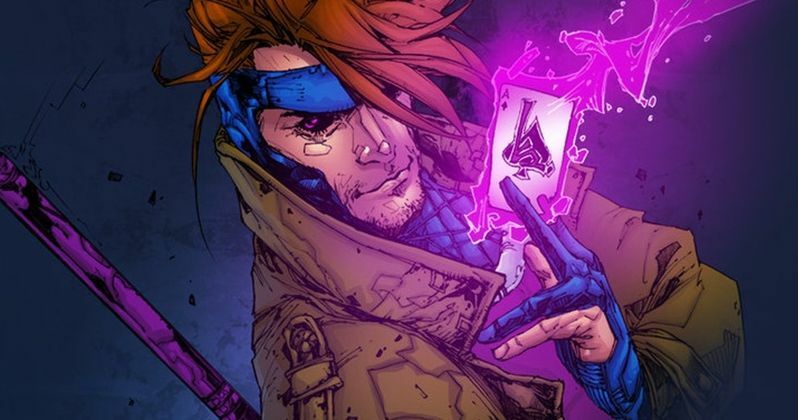 The long-gestating Gambit movie may be making one last desperate push toward production as Channing Tatum now wants to direct the movie himself. The X-Men spin-off centered on the fan-favorite, card-throwing Cajun has been caught in the ugly depths of development hell for years now. But Tatum's unwavering desire to get this passion project made has more or less kept it alive. However, as the Disney purchase of Fox is set to close in the coming months, the window of opportunity is quickly shuttering, and Tatum is reportedly taking matters into his own hands. According to a new report, Channing Tatum has parted ways with his management team at UTA and Management 360. Buried within that report is the news that he is now thinking about stepping into the director's chair, in addition to starring in the lead role, for Gambit. This comes after several different, big-name directors have come and gone, with the most recent being Pirates of the Caribbean and Rango helmer Gore Verbinski, who bailed on the project roughly a year ago. Edge of Tomorrow and American Made director Doug Liman was also attached at one point. There is a lot to consider with this news. For one, Channing Tatum would be making his directorial debut and that means Fox would be taking something of a pretty huge gamble as, even on the low end, Gambit would be an expensive movie to make. Early on, it was actually budget issues that were said to be getting in the way of the studio giving a green light to production. A key thing here is that Channing does not have a single directing credit to his name of any kind. So he would be taking on a major comic book movie blockbuster for his first go around, which is virtually unheard of. But at this point, there may be few other options available. With the Disney merger of Fox closing in, many of the Marvel projects that Fox had been developing, including the Deadpool spin-off X-Force, have reportedly been shelved. Filmmakers would be understandably wary of joining a project of this scale with so much uncertainty on the immediate horizon. Channing Tatum, on the other hand, virtually willed this project into existence and clearly isn't content to just let it go once Disney takes over. The report notes that there is still no start date and that the project is "still being worked on." As we previously reported, any projects that have already started filming by the time Disney takes over will be finished. Others that were in development will move forward at their discretion. Given that the plan is to fold the X-Men into the Marvel Cinematic Universe, there is virtually no way that they let Gambit began production after the merger. So, unless Channing Tatum can get this together in the next couple of months, this will become one of those mythical movies that simply never was, and we'll be left to wonder what could have been. This news was first reported by Deadline. Gambit to Shoot in Early 2019 Before Disney Takes Over Fox?